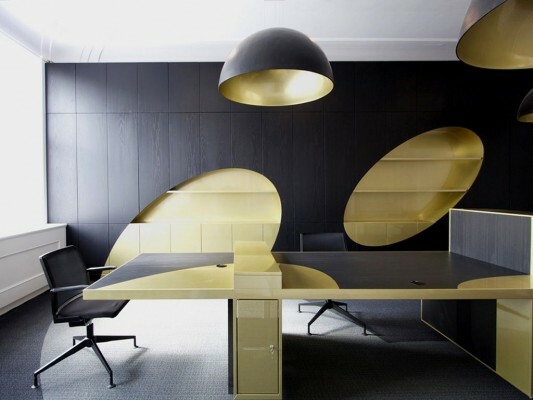 An elegant office interiors and with a slightly different color concepts with the most modern office design, interior design in this office is dominated by black and gold, combined with the color white to provide balance. 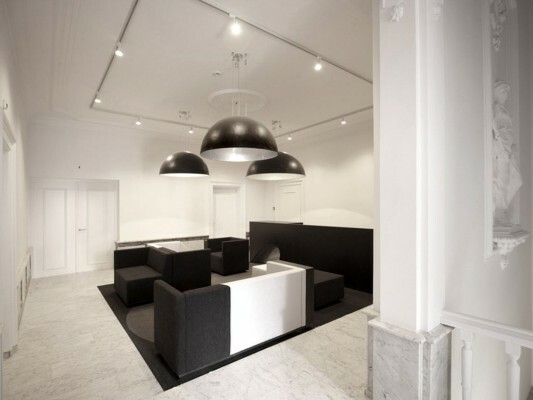 This is an office of the investment group, which is done by i29 interior architects working with Eckhardt & Leeuwenstein. The concept of space used by an investment group consisting of several councils who are also owners of capital, so that the distribution of room to place all members of the council in the spotlight with a fun way. 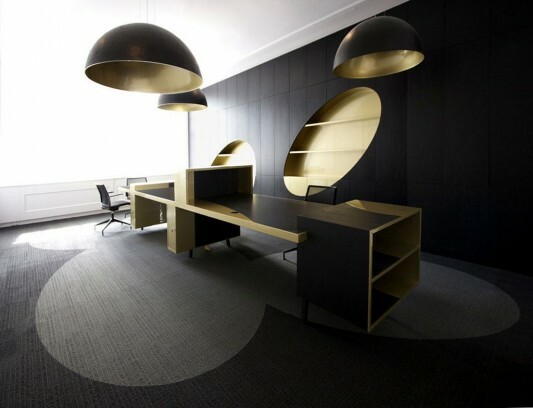 Unique design in the interior of this office is to place the lamp with a large round-shaped hood, on the inside of the lamp shade with black finish, this creates a shadow toward the floor throughout the entire room. Gold is also used to coat on some furniture, so it looks beautiful contrast combined with the color black. 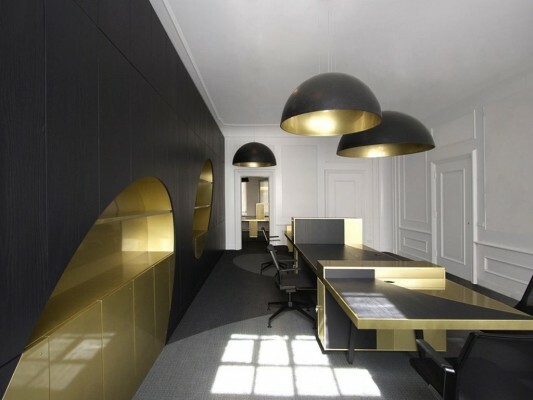 For the floor covered with carpet that is grayed out, is also able to cope with a striking gold color, so the office space look comfortable and enjoyable. 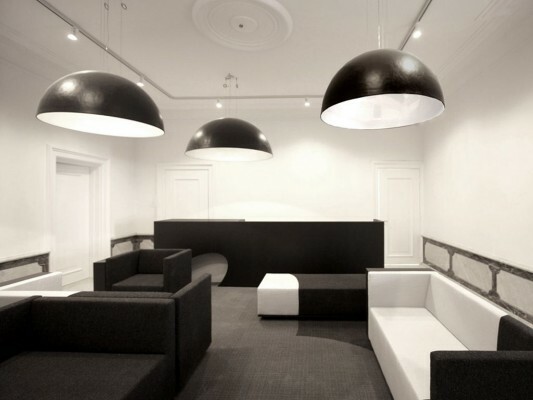 Shades of a relaxed and gentle space located in the lounge area, using a combination of white marble floor, with a sofa that has two shades of black and white, to the inside of the lampshade is also given a touch of silver color, it delivers bright shade pattern towards the floor. In this lounge is dominated by white, including the ceiling. For more details visit i29 interior architects.